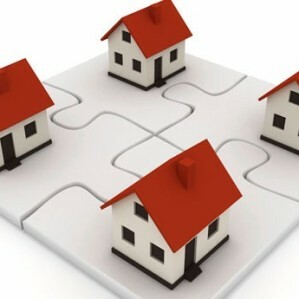 So says Andrew Schaefer, MD of leading national property management company Trafalgar*, who notes that it has become quite common in recent years for big suburban homes to be renovated and sectionalised into “duets”, and for large stands to be developed into “boutique” ST complexes containing just a few free-standing homes. He says that although they are legally members of a body corporate (even if there are only two of them), the owners in these schemes usually don’t formulate budgets, collect levies, hold AGMs or establish reserve funds. “They might agree informally to share certain costs like security and garden maintenance, but mostly they treat their homes as if they were freehold properties. Most of these cases, says Schaefer, involve the construction of home additions or structures such as garages, carports and pools that have not been approved by the other member or members of the body corporate. “This approval is necessary because anyone buying into a ST scheme is effectively only buying their ‘section’, consisting of the interior of their home. The outsides of the buildings and the rest of the property including the gardens, driveways and security equipment are part of the common property are owned in undivided shares by all the owners in the scheme. Other serious issues that often come up in small ST schemes where there is no functioning body corporate are how to deal with insurance issues, and how to deal with tenants renting from one owner and causing problems for the others. Then there is the question of difficult tenants. “If the tenant of one owner is causing noise or nuisance problems for the other owners in a ST scheme, they usually have recourse to the body corporate and the conduct rules of that scheme – and if that fails, to the dispute resolution services of the CSOS. But where there is no functioning body corporate and perhaps only two owners, we have seen that they will most likely have to resort to lengthy and costly legal action to resolve the issue. *Trafalgar currently has more than 80 000 residential properties worth more than R80-billion under management in more than 1300 community housing schemes around SA.